If you’re visiting Portugal, then there is a good chance that you’re spending time in the city of Porto. 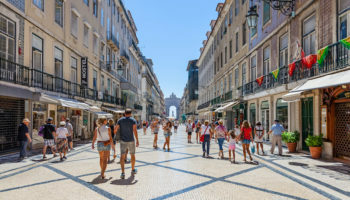 Although Porto isn’t the largest city in the country, an honor that goes instead to the capital of Lisbon, it is a destination with a rich heritage and a vibrant culture. Full of winding cobblestone streets, a fascinating wine trade and a warm climate, Porto is an appealing getaway spot for everyone. 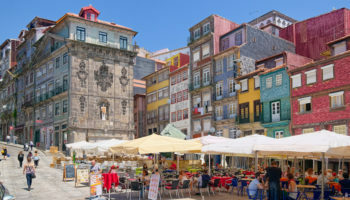 There are all sorts of day trips from Porto, which is perfect for you if you want to explore as much of Portugal as possible on your next vacation. 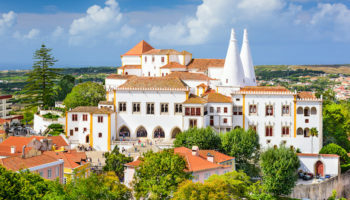 Head south along the Atlantic Coast from Porto until you reach Coimbra, a bustling university city with a medieval center, countless museums and wonderful food. To get a spectacular view of the Mondego River, which runs right through the city, enjoy a short hike up to University Hill for an excellent vantage point. Stroll back down to the medieval city center, and set off on a walking tour of Coimbra’s highlights. You won’t want to miss the exhibitions in the Machado de Castro National Museum, and you should definitely make time to see the new and old cathedrals of Coimbra and the gorgeous gardens of Penedo da Saudade. Head to the baixinha, or downtown area, after dinner for the nightlife and the local drinks like the Bairrada wine and the sweet liquor called licor beirao. Lying 130 kilometers to the south of Porto, it can take as little as an hour to reach Coimbra on the fast train. These depart for Coimbra-B station each hour, and booking a seat in advance is compulsory. Once you alight, you then need to take a five-minute train ride to the station in the center of Coimbra, which is just a stone’s throw away from the university and all the other sights. While driving to Coimbra does take a bit longer at around an hour and 15 minutes, it means you could always visit Aveiro on the way there or back. As the A1 connects Porto to Coimbra, it couldn’t be easier to get from one city to the other, just follow the road all the way south until you get to the university town. For those interested in getting to know Coimbra better, taking a guided tour is a great way to explore the university town and see all its incredible sights. With a visit to Fatima – one of the country’s most holy sites –included, the tour will not only open your eyes to the area’s prestigious educational heritage but also to its religious culture, as you attend a mass in Fatima’s impressive basilica. See trip reviews & prices. A scenic coastal journey just 45 minutes north of Porto brings you to Viana do Castelo, arguably one of the most architecturally important cities in all of Europe. Stunning buildings, many of which are hundreds of years old, are found just minutes from the white-sand beaches along the coast, and the green hills that serve as the backdrop to the city only emphasize the stunning skyline. Make sure you visit architectural landmarks like the early 20th century Basilica of Santa Luzia, the 16th century former city hall building, the city’s Gothic-style cathedral and the Fountain at Praça da República, which boasts intricate carvings and dates back to the 16th century. Although Viana do Castelo is only an hour and a half away by train, the fact that they don’t run very frequently means that it’s actually quite hard to get there by public transport. As such, you should plan your journey well in advance, as only a couple of trains depart from Campanha each day. 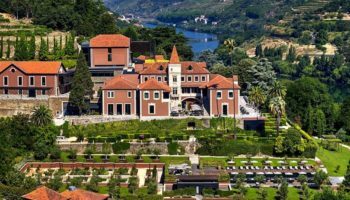 It may be preferable to drive there yourself; this means you can stop off at any of the charming little villages you pass along the way, or head to Braga or Guimaraes after seeing Viana do Castelo. The drive there takes around an hour and is very simple; you just need to follow the A28 north all the way from Porto to Viana do Castelo. If you don’t have a car with you, the easiest way to visit Viana do Castelo is to take a guided tour that not only takes you to the historic city but also on to Santiago de Compostela further to the north in neighboring Spain. Both cities have a wealth of fascinating historical, architectural, and religious sights for you to check out. With a guide on hand to tell you all about them, you’ll come away having learned a lot about both countries’ rich cultural heritage. See trip reviews & prices. South of Porto, and just minutes from the Atlantic Ocean, is Aveiro. The city is home to the beautiful campus of the University of Aveiro, and it is well known for its many canals and bridges. You can even ride on a gondola through the city, which helps explain why Aveiro is also known as the Venice of Portugal. During your time in Aveiro, you might want to tour the Aveiro Cathedral, admire the beautiful São Gonçalinho Chapel, stroll through the Santo António Park or watch the surfers enjoying the waves from beaches like Barra and Costa Nova. With direct trains running from Campanha in Porto to Aveiro, you can find yourself in the Venice of Portugal in no time at all; the journey only takes 50 minutes. As the center of town is quite compact, you can easily see Aveiro on foot, although you might need to take a short bus or taxi ride if you want to visit the beaches on the coast. By car, it takes almost the same amount of time to drive to Aveiro as it does to take public transport. 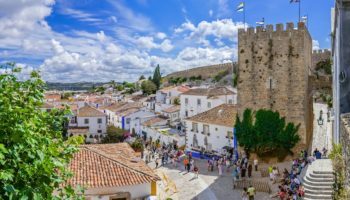 The advantage, however, is that you can easily continue driving south and visit Coimbra on the same day, or head off to explore picturesque little villages along the coast. To get to Aveiro from Porto, head south, cross over the Douro River on the A1 and stay on it all the way to exit 3. After this, turn onto the A25 and follow it directly to Aveiro. A lovely way to visit both Aveiro and nearby Coimbra in one day is to take a guided tour that shows you both cities that are so different in appearance and feel. As well as visiting Aveiro’s lovely little canals and Coimbra’s delightful medieval center, the tour also takes you to visit the nearby beaches of Barra and Costa Nova, so you can appreciate this part of Portugal’s glorious scenery. See trip reviews & prices. Your day trips from Porto definitely aren’t limited to destinations within Portugal. In fact, one of the most appealing day trips is over the border to the Spanish city of Santiago de Compostela. This Galician capital is important for religious reasons, since St. James is purported to have been buried there, but it has a lot more to help boost its appeal. Start in Praza do Obradoiro, the center and heartbeat of the city, which is surrounded on all sides by landmarks like the famous baroque cathedral, the Rajoy Palace and the Gelmírez Palace. The city’s culinary scene is defined by its signature dish called pulpo, or octopus, so be sure to try it if you spot it on a restaurant menu in Santiago de Compostela. Lying 240 kilometers to the north of Porto, Santiago de Compostela in neighboring Spain is easily reachable by car, and on the way, you pass through some lovely scenery. From the city center, head north on the E1 and continue on it after it turns into the A3. Once you cross over into Spain, the road becomes the AP-9; all you need to do is stay on it until you see signs for Santiago de Compostela. The drive should take you around two and a half hours – just remember to factor in the hour time difference between the two countries into your journey. If you don’t fancy driving there yourself, there are a number of tours on offer that can take you straight to Santiago de Compostela. On the way, you travel along St James Way – a famous pilgrimage route. As you travel north, your guide will tell you all about the sacred sites you pass. For many, the highlight of the tour is viewing the city’s stunning cathedral, which houses the remains of St James. 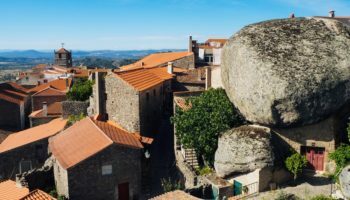 After having explored the Santiago de Compostela’s wonderful old town, you’ll also visit Valena do Minho on your way back to Porto and take a tour around its impressive fortress. See trip reviews & prices. To see the first city in Portugal, and what is known as the city where Portugal was born, head an hour from Porto to Guimarães. The city is one of the Seven Portuguese Wonders, thanks to its history and architecture that date back to the 10th century. Start your trip outside of the city at Penha Mountain, where a short hike offers amazing views. Then, head into the center of Guimarães to see architectural wonders like the 12th century Guimarães Castle, the Dukes of Braganza Palace and Sezim Manor. From Porto, it takes just over an hour to get to Guimaraes, and trains depart from Campinha every half hour. Once you alight in Guimaraes, you’ll find sights such as the magnificent castle and beautiful palace are just a 15-minute walk away. Driving to Guimaraes isn’t a bad idea if you have a car with you, as you could easily combine your visit to the historic city with a trip to nearby Braga, or some of the charming Portuguese towns along the coast. The directions from Porto are very easy to follow. All you need to do is head northeast out of the city on the E1 then hop on the A7 heading east to Guimaraes. All in all, it’s around a 45-minute drive, although this route does involve tolls. Yet another option is to take a guided sightseeing tour around Guimaraes; these trips often include a visit to Braga as well. 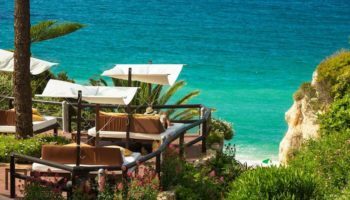 With an expert guide to take you around, you’ll come away with a greater understanding and appreciation for this beautiful part of Portugal, and you’ll also learn about how the country came to be. See trip reviews & prices. The city of Braga is only 50 km (30 miles) north of Porto, but it has a distinctly unique atmosphere. One of the main attractions in Braga is the cathedral, which is more than 1,000 years old and offers guided tours to visitors. If you’re a sports fan, you might want to check out the Braga Municipal Stadium, which was used in the 2004 European Football Championships. The Bom Jesus funicular, which operates by water balancing, is a fantastic way to reach new heights and admire the views of the city below. 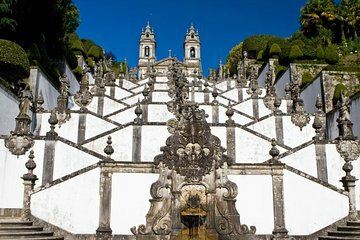 Braga may be known as the Cidade dos Arcebispos, or Archbishop’s town, but the religious buildings are just one component of what the city has to offer. Direct trains frequently run to Braga, so you’ll find yourself in the neighboring city in no time at all. The train journey usually takes around 45 minutes, and once you arrive, all the main sights are within walking distance. While it takes a similar amount of time to drive to Braga, having a car means you can explore the surrounding area at your leisure, with both Guimaraes and Viana do Castelo well worth visiting. To get to Braga from Porto couldn’t be easier; you simply need to hop on the E1 heading north and take the N103 exit to get to Braga. A guided tour enables you to see both Braga and the nearby Guimaraes in just one day. With a knowledgeable guide accompanying you, you’ll learn all about Braga’s beautiful historic center and Guimaraes’ famous 10th-century castle, while also checking out the wonderful Bom Jesus sanctuary in Tenoes. See trip reviews & prices. The Douro is one of the major rivers running through Portugal, and surrounding it is the Douro Valley, a magnificent and scenic spot just an hour from Porto. On the hillsides next to the river, vineyards dominate the landscape, which means that wine lovers are in the right spot. Vineyards and wineries offer tours and tastings, letting you sample the sweet, rich wines for which the region is known. 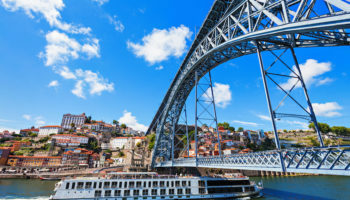 Escape the hustle and bustle of the city on a scenic boat ride along the Douro River, which allows you to soak in the scenery, enjoy the warm weather and admire the lush greenery all around you. 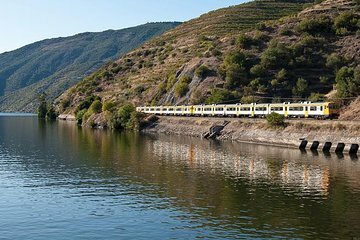 While trains to the Douro Valley do take two to two and a half hours – depending on whether you head to Regua or Pinhao – the fact that it snakes its way along the river for much of the journey means you’ll already have seen lots of lovely scenery before you’ve even arrived. Trains depart from Campanha every couple of hours, and once you arrive in Regua, you can continue on the Douro Line deeper into the valley if you feel like it. Although driving to the Douro Valley gives you more freedom in terms of stopping off to enjoy the spectacular views or visiting scenic hillside wineries, it does mean that one of your party won’t be able to sample the delicious local wines, and the roads are quite windy. Luckily, the directions are very simple to follow; all you need to do is head east out of Porto and follow the A4, which will take you most of the way there. Turn off at exit 11 and follow the N2 south to Regua. From here, there is a spellbindingly beautiful drive you can take alongside the river to Pinhao. All in all, it should take you about an hour and a half to enter the heart of the Douro Valley. 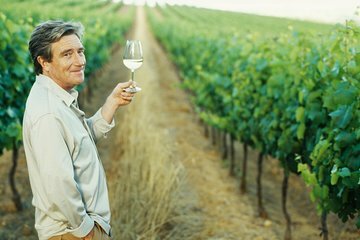 Another option is to take a guided tour; this really is one of the best ways to experience the Douro Valley in all its splendor. As well as stopping by two traditional wineries, you’ll also take a delightful cruise along the river and bask in the stunning scenery, with an experienced guide to tell you about all the amazing sights you come across. See trip reviews & prices. Could you please rank these day trips as I’m trying to determine, which ones are most worth going to.